Most of the expansion teams have started revealing their newly constructed—or acquired—rosters, but that doesn’t mean existing teams are done making moves. Earlier this week, the San Francisco Shock announced that they had acquired DPS Nam-Ju “Striker” Gwon from the Boston Uprising. Striker is known for his high-level hitscan play—previously anointed one of the best Tracer players in the Overwatch League—and he can also put up a respectable Widowmaker performance when needed. However, the real attraction with Striker is his existing relationship with Da-Hee “Crusty” Park, the head coach of the Shock who coached him in Boston before joining SF’s staff. 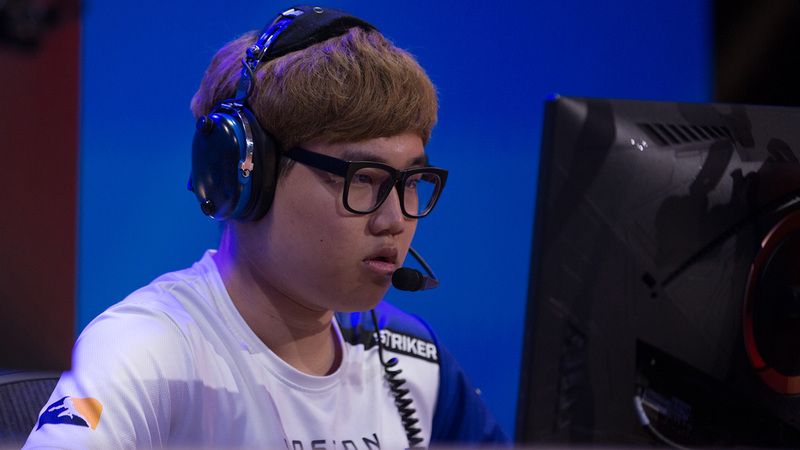 Striker should be a great fit in theory; he is already used to a team environment led by Crusty and is also accustomed to a Korean-Western team mix from his time with the Uprising. I am concerned, however, with the overlap in roles within the team, as the Shock now have a mountain of DPS players. It is hard to see where Striker fits into the current iteration of the Shock, especially given that they already have great hitscan DPS players on the team such as Jay “Sinatraa” Won, Andrej “Babybay” Francisty, and Min-Ho “Architect” Park. Normally, when teams introduce players that overlap in existing roles, they will experiment by substituting certain players in for specific maps, turning them into a more specialized player—similar to the Philadelphia Fusion using Simon “Snillo” Ekström as a Tracer specialist on Route 66 early last season. The Shock could do that with a DPS rotation, or they may decide to trade one or more players away. Regardless of how the Shock decide to utilize Striker, he is a fantastic addition to the team due to his strong work ethic and incredible individual mechanical ability. Whatever role he moves into, I am sure he will excel at.